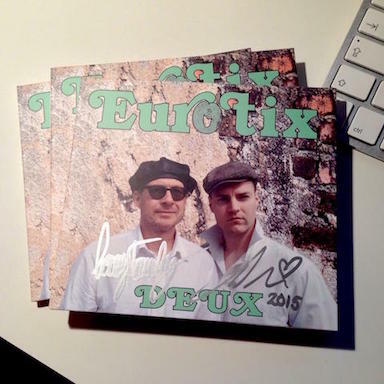 Me and Larry Forsberg have been busy signing and mailing copies of our new CD to different parts of the world lately. We are so glad that you seem to like it! If you haven't ordered your copy yet, you can do so by filling out the form on our official website. We currently have a special offer: If you buy both of our albums, you will get the first one for half the cost. In other news, we found out that two songs co-written by Larry have been accepted to Melodifestivalen 2016, the Swedish pre-selection to the Eurovision Song Contest. The songs will be performed by Swedish artists Anna Book and After Dark. I actually sang on the demo for the After Dark track when it got accepted. That version had English lyrics though.